This year is the 125th anniversary of the Iron Lady in Paris. This is the occasion to learn about this worldwide famous building. Did you know that…? It is now the most visited paid monument in the world and about 7 million visitors discover one of its three levels each year. However, it’s worth remembering that when construction started in July 1887, a group of around 300 artists and architects sent a petition to the commissioner of the Paris exhibition demanding that he halt construction of the “ridiculous tower”. The Eiffel Tower was built in two years, two months and five days – beginning in 1887. With the antenna at the top, the tower is 324 meters heigh (1,063 feet). Without the antenna it is 300 meters tall (984 feet). You want to go up the Eiffel Tower and take a nice trip to Paris? 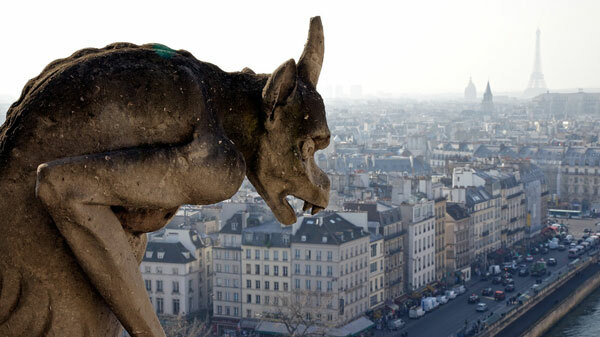 See our Tours including Paris. Six inches: That’s how much the tower grows in the sun. The Eiffel Tower grows when it gets hot and shrinks in the cold. It was built by Gustave Eiffel to commemorate the French Revolution and show off France’s industrial might. It was meant to last for 20 years only. The removal men were meant to pull it down after 20 years, but Eiffel appears to have persuaded them to have a change of heart. The fact that the tower could be used as a wireless telegraph transmitter, made it fairly useful and saved it from the wrecking ball. There are 1,710 steps up to the top - but visitors can only walk to the first floor – then they have to use the elevators. The Eiffel Tower can sway 6 to 7 meters in the wind. But don’t think about it while going up! The Eiffel Tower was the world’s tallest building for 41 years….until the Chrysler Building in New York came along and stole its mantle. 250 million people have paid a visit to the Eiffel Tower over the years. In 1944 Hitler ordered the German military governor of France to tear it down but he refused. If you would like to learn about the Eiffel Tower's new 1st Floor with the Glass Floor. However, they are very hard to get as the biggest tour operators around the world have implemented advanced informatic systems to purchase all the tickets as soon as they come out on the website. 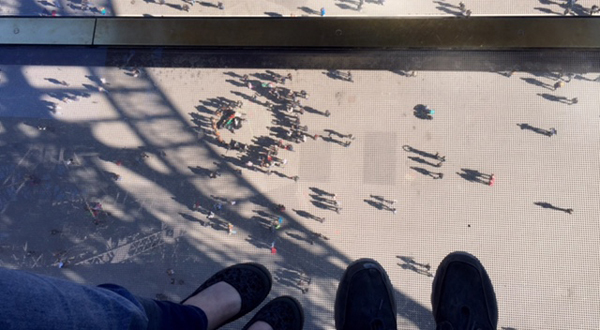 Also, when you are ON the Eiffel Tower, you don't get the Iron Lady in the souvenir pictures that you'll take. Even if climbing the Eiffel Tower is part of most travelers dreams, we have several recommendations of other towers to climb (or take elevators) and enjoy a beautiful view...including the Eiffel Tower on the picture!